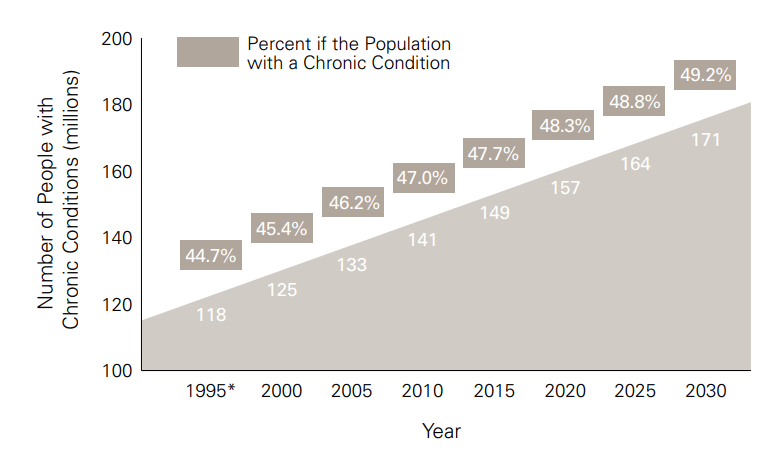 Over the past decade we’ve witnessed a shift in population health management programs from people, and skill-level intensive approaches to more scalable, tech-enabled solutions; however, even with these modern approaches half of Americans are predicted to suffer from at least one chronic disease by 2025. These findings have resulted in a flurry of new innovation within member engagement and population health management initiatives, initially sparking breakthroughs in models for identifying at-risk consumers leveraging both data from social determinants and predictive analytics, and enabling entities to better optimize resources towards population segments most receptive to interventional programming. As a result, efforts and resources have now shifted from identifying individuals most at-risk (or rising-risk) to creating and implementation of consumer-centric engagement strategies. In more and more instances these strategies are built around some form of health coaching, which allows for a more personalized, guided approach to lifestyle improvement, rather than simply relying on traditional provider visits tech-only solutions. It’s been commonly found that mobile health and tech-only approaches to wellness have limited effectiveness with the general population, and that most people require a more empathetic approach to lifestyle improvement and intervention. In fact, a study done by UC San Francisco found that mobile health apps alone failed to engage or provide adequate help to a cohort of at-risk patients. At Nudge, we continue to see similar findings supporting the need for consumer engagement models that weave together the three core pillars of engagement and sustained involvement: the consumer, mobile health technologies, and practitioner support into one cohesive experience. Early data suggested that consumers working with a professional were 3.3x more likely to still be engaged in health tracking after 120 days compared to those tracking alone. It’s for this reason that health coaching has become such a critical aspect of population health management and remote patient engagement programs. Keep in mind that health coaching solutions have evolved significantly over the past decade transitioning from in-person or telephonic-only offerings to those more appropriately classified as digital coaching or online coaching models. Variations may still incorporate telephonic or in-person sessions, but technology has enabled organizations to deploy far more scalable models without compromising interventional effectiveness. As a result, there has been a resurgence of health coach-driven programs across the industry, as ever growing findings support the need for a more personalized approach to lifestyle management and intervention. In other words, the industry needs to get away from the “one-size-fits-all” approach to engagement. For instance, in a recent 6-month weight loss study comparing the efficacy of remote health coaching (vs traditional in-person) researchers found both approaches to be effective with the data between the two cohorts being statistically similar. Participants from both groups received an initial in-person consultation from a registered dietitian then were encouraged to self-monitor their weight and other corresponding lifestyle habits remotely, using the Nudge app, a Fitbit, and a scale. Following the initial session one cohort continued regular in-person sessions with the dietician while the second group was provided simple remote coaching by a member of the team. Even in a remote setting technology enables coaches and providers to properly "connect" and guide coaching clients remotely as effectively as if they are doing so in person. These findings, along with others across the industry, have sparked re-imagined coaching solutions and models across the various layers of healthcare. For instance, in June Pennsylvania-based payer, Capital Blue Cross, announced a new health coaching offering taking a more personalized, holistic approach to member engagement that leverages motivational interviewing and behavior change. Available to everyone in the community, consumers in the region now have the option to register to for coaching in order to work together towards their nutrition and wellness goals. While there isn’t a silver bullet to solve the chronic disease crisis, it’s encouraging to witness new consumer-centric, population health management solutions that adopt a more personalized, human approach to engagement and sustained involvement. Ultimately while predictive analytics, engagement technology, and machine learning have a part to play in reversing these populational trends, data illustrates the importance of the "human" element in driving engagement efficiency and effectiveness within population health management programs.